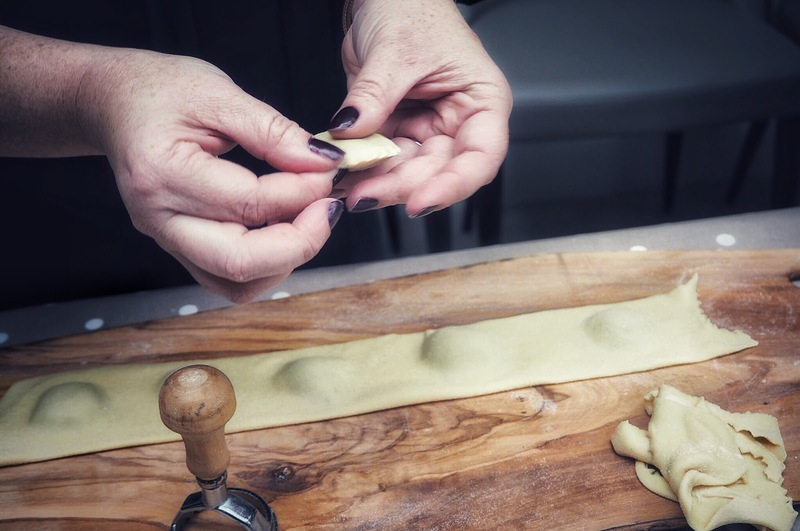 Italian food has long been considered the food of love and with Valentine’s Day upon us, what better than to find out more about the passion behind Italian cooking. Bookings For You are a luxury villa company with a difference. 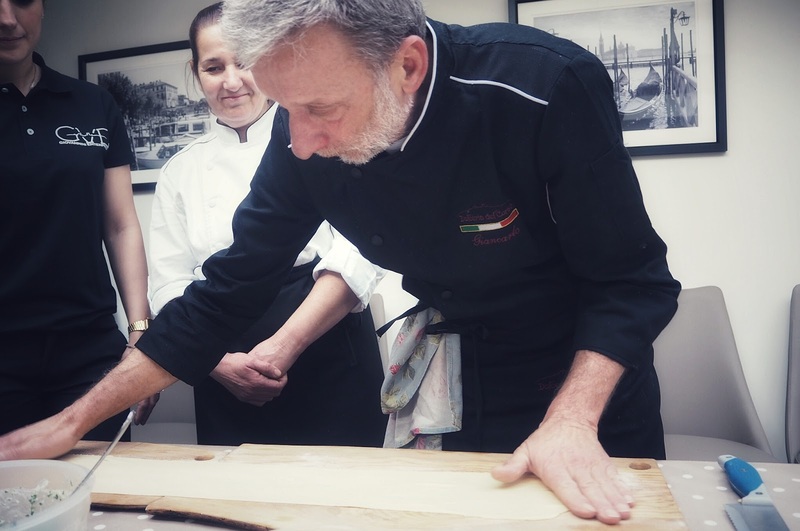 Embracing the culinary passions of their villa collaborators, I was invited to an Italian cooking masterclass with the owners of the Country Relais & Spa Le Capanne. 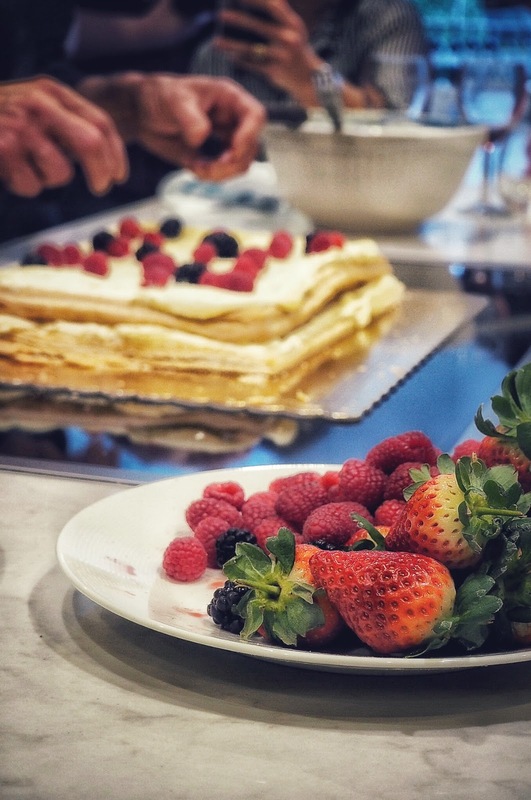 In this post, I will be sharing more about their beautiful holiday rental in Tuscany, the passion behind Italian cooking, as well as provide the sought after recipes to wow your loved one this Valentine’s Day! 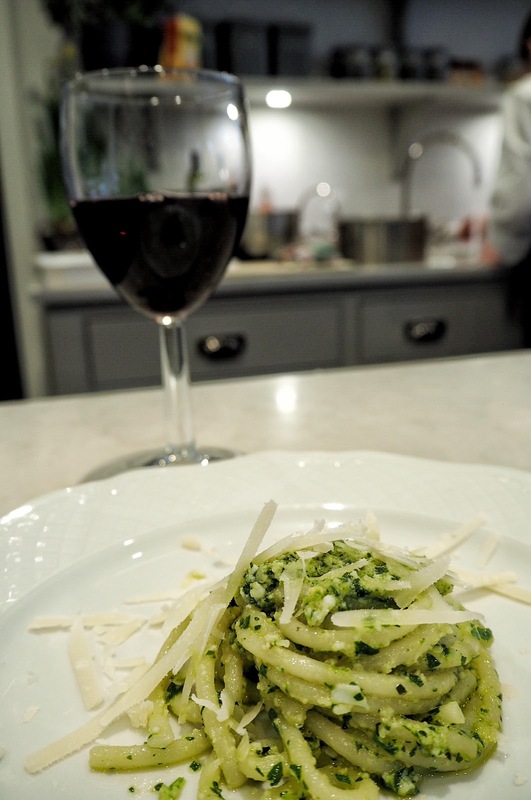 There is something about Italian cooking that brings about connotations of love. 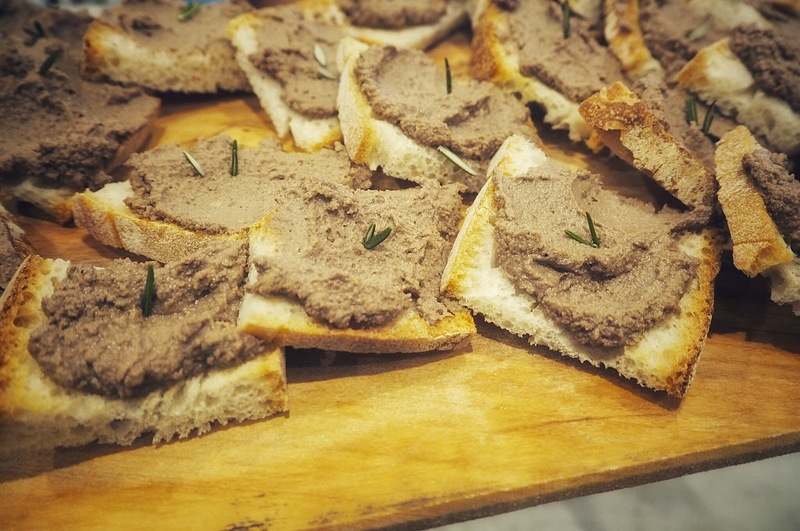 Whilst I shamefully have not been to Italy myself, I have witnessed time and time again Italians love for food in films, which is often romanticised. From early days watching the iconic Bella Notte scene in Disney’s Lady & The Tramp to my favourite Martin Scorsese film Goodfellas, food is the recipe that keeps a family together and is a paramount feature in so many films. As I write this I’m picturing Paulie from Goodfellas and Martin Scorsese’s real-life Mumma whipping something up in the kitchen and all the joy they have from feeding their loved ones. 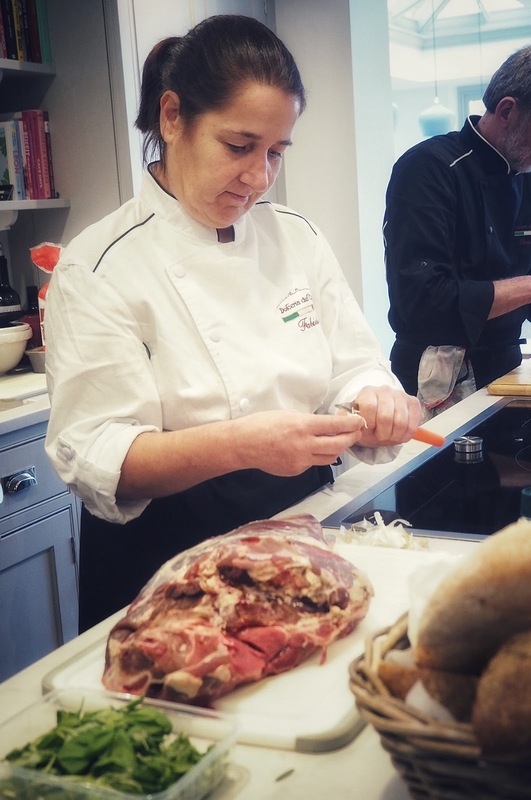 I was honoured to be invited by Jo at Bookings For You to spend a day in her home to meet the Giovannini family, who had flown all the way from Tuscany to show myself and other bloggers & journalists how to make some traditional Italian dishes. 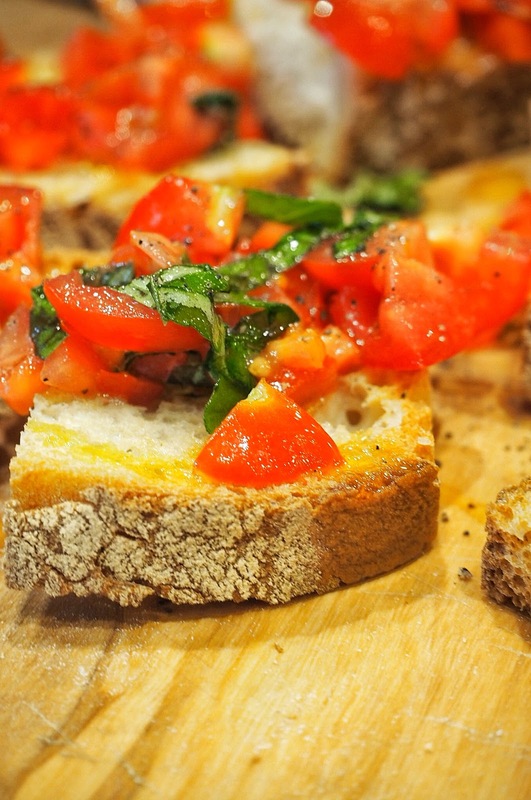 It gave me ample opportunity to see my first real glimpse into Italian life, as well as observe whether Italians really do love food as much as depicted in some of my favourite films. 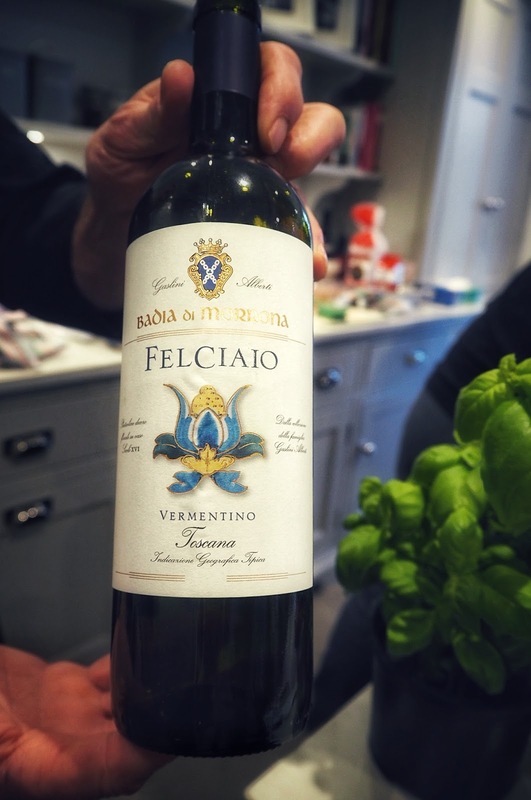 Plus, Florence in Tuscany is one of the top places I want to visit in Italy and I was keen to learn more about the area and the food! I wasn’t disappointed. 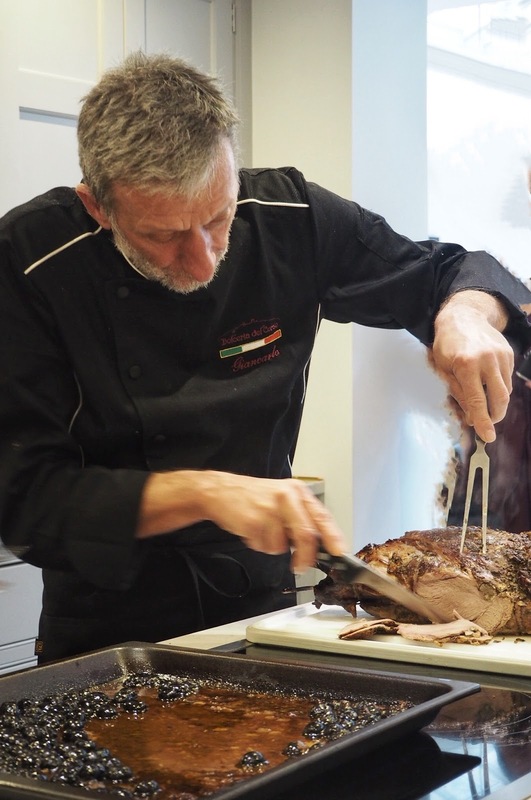 Family and food are key to the Giovannini family, something that has intertwined perfectly throughout the family’s generations. 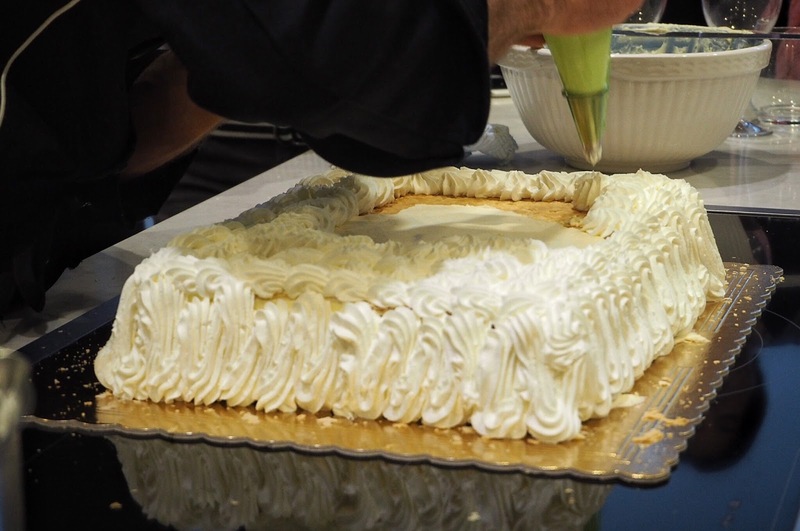 The Grandfather of the family, Terziolo Giovannini, co-owned a pastry shop, which ignited a lifelong love of food for the Giovannini family. 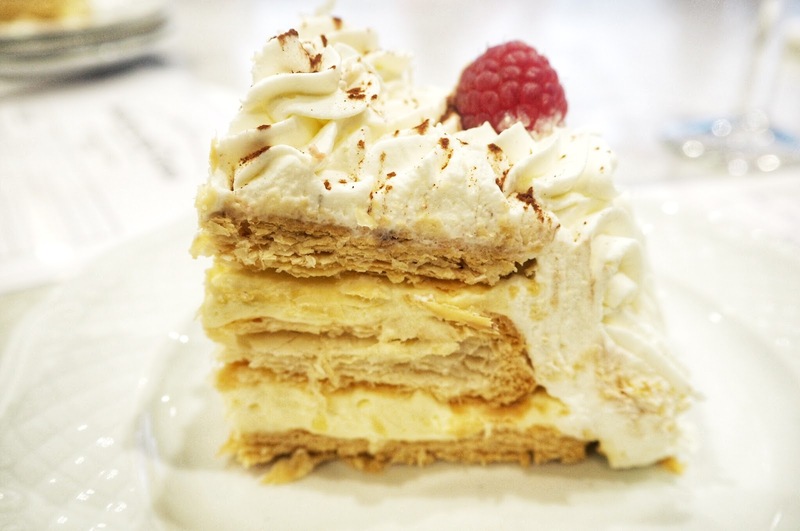 Father of the family, Giancarlo joined his own father in the business at the young age of fourteen, where he perfected their cakes and pastries, adding some of his own creations. 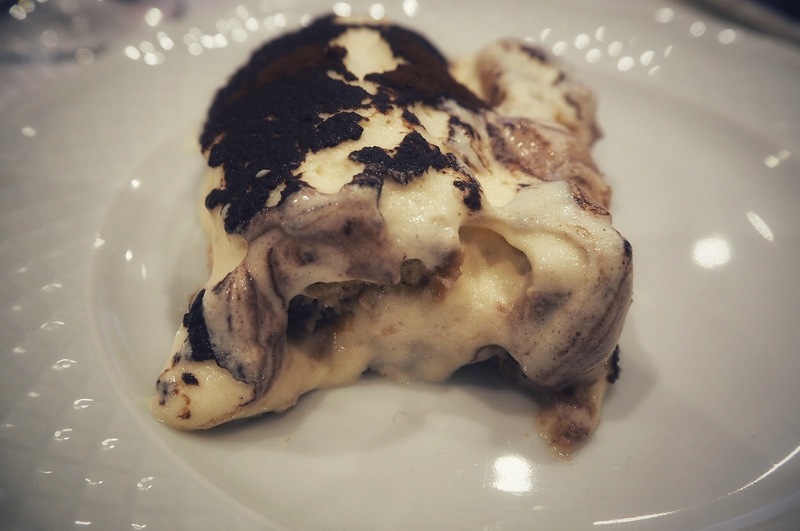 Meeting his wife Fabiola was a match made in foodie heaven, with the pair sharing the dream of continuing the family legacy and opening their first pastry shop Dolceria del Corso in the small town of Volterra in Central Tuscany. 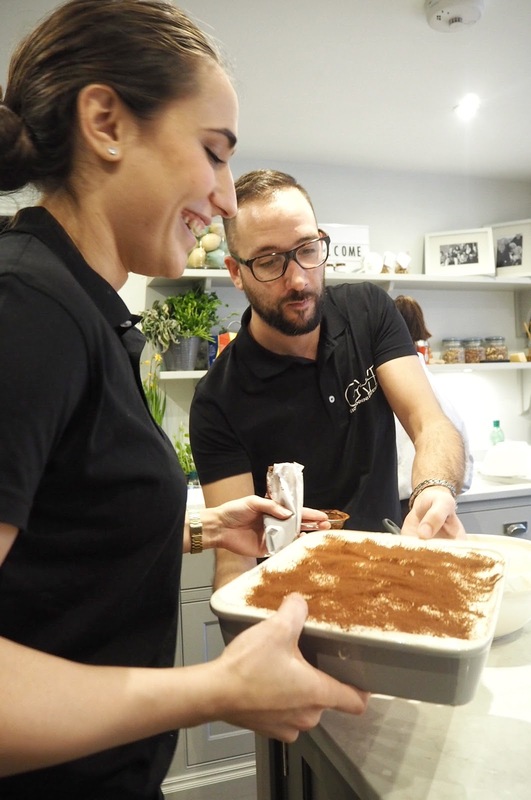 Today Giancarlo and Fabiola are joined by their son Dario and his American wife Vera, who he met on a chance encounter a mere couple of weeks before she was due to leave Italy for The States after graduating university. The blossoming romance between Dario and Vera is a film-worthy script in itself and it was touching to hear about their union as well as the ways in which they are using their multilingual, technological and marketing skills to enhance the global reach of their much-loved family business. 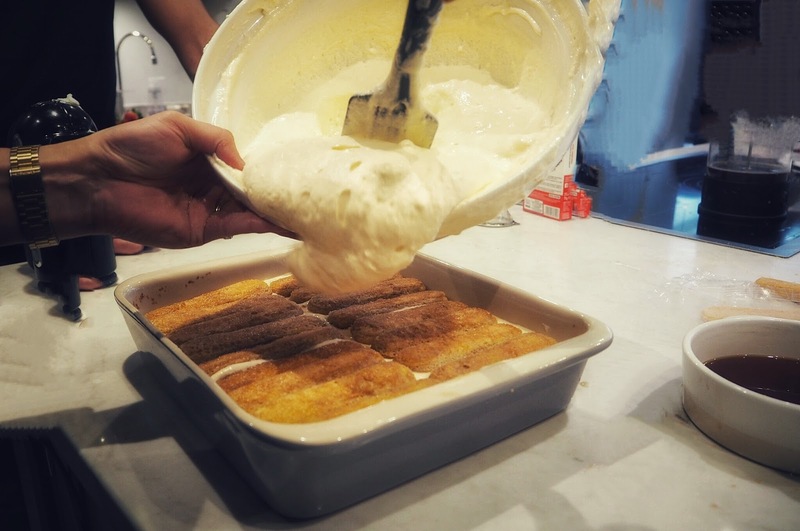 When it comes to the food, the family’s passion is evident and everyone has their role to play. As with all Italian meals, first up was the antipasti. 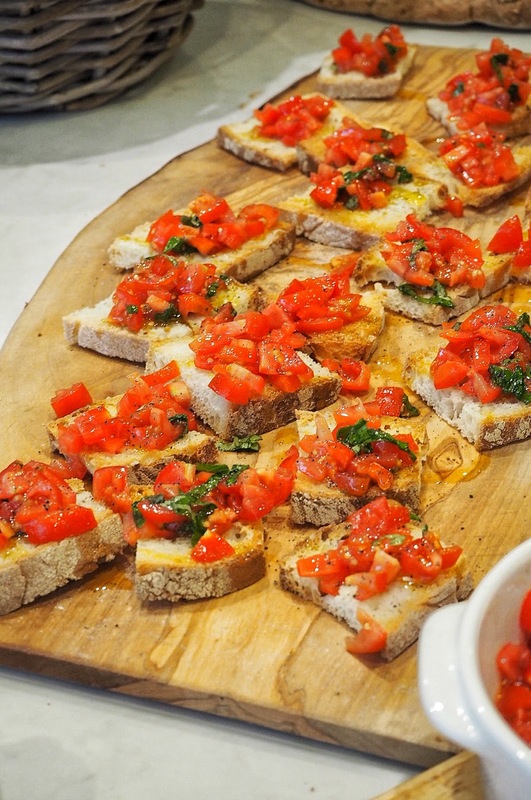 We observed as the family created two varieties of bruschetta, one tomato topped, one rubbed with garlic and olive oil, as well as a chicken liver pate crostini. 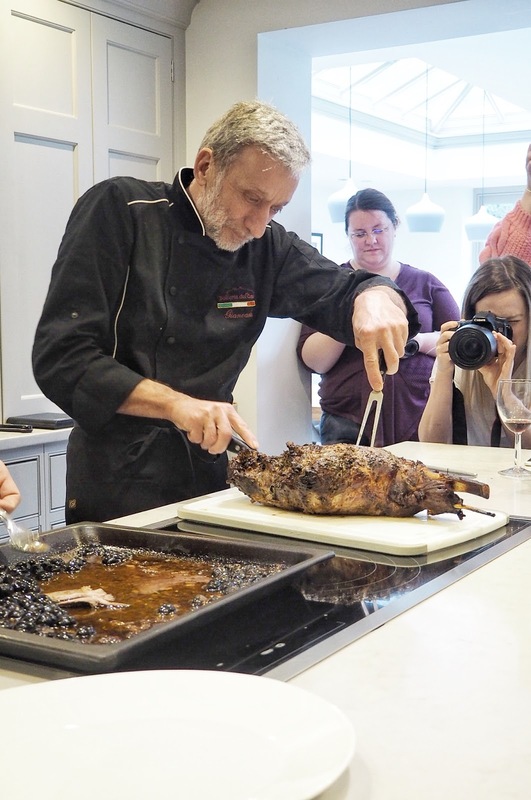 Preparation for the main was already underway due to the longer cooking time for the wild boar, which was brought over from Italy. 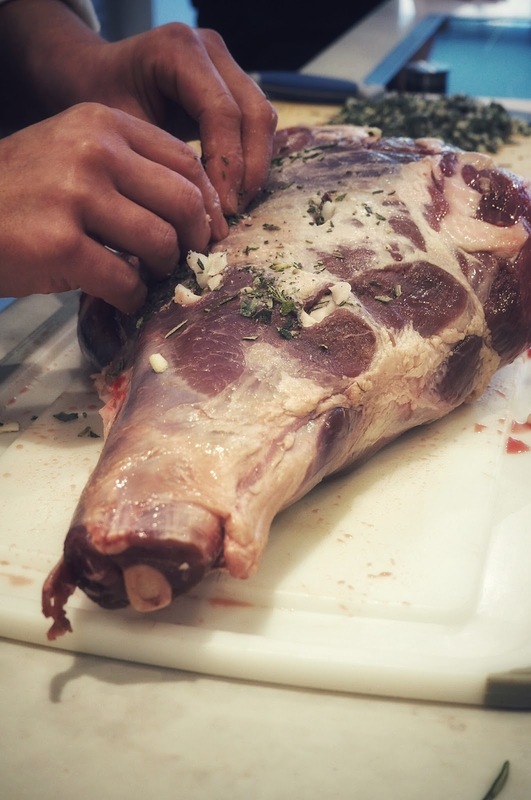 The boar was stuffed with sage, rosemary, salt, garlic, peppers and pork fat. 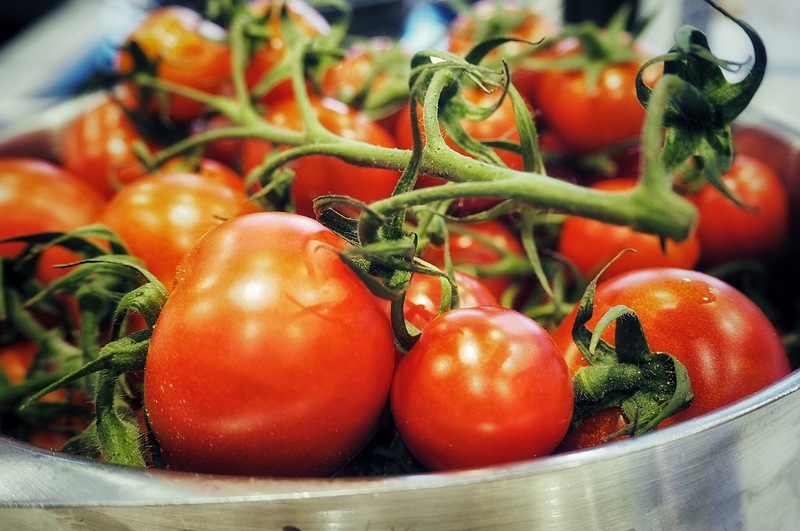 All the ingredients are locally grown, freshly sourced and are typical of their hometown, Volterra. 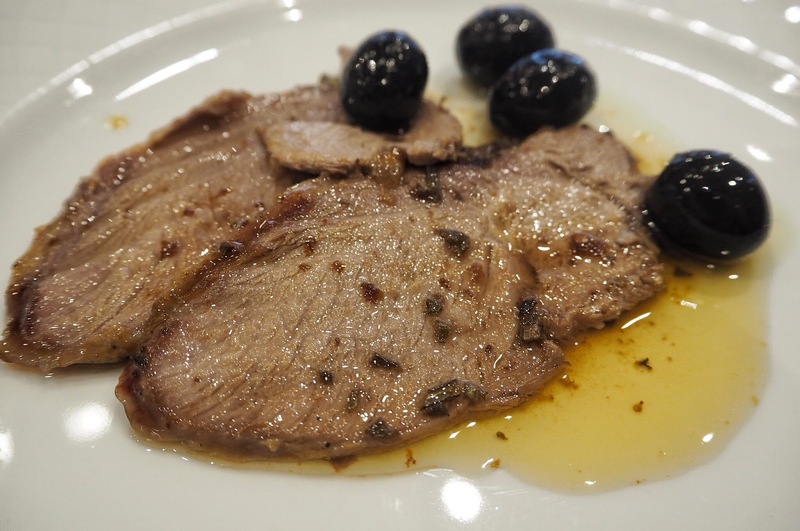 Of course, it wouldn’t be an Italian meal without copious amounts of wine and the family’s own olive oil, which all played their part in giving the wild boar it’s full flavour and seasoning. 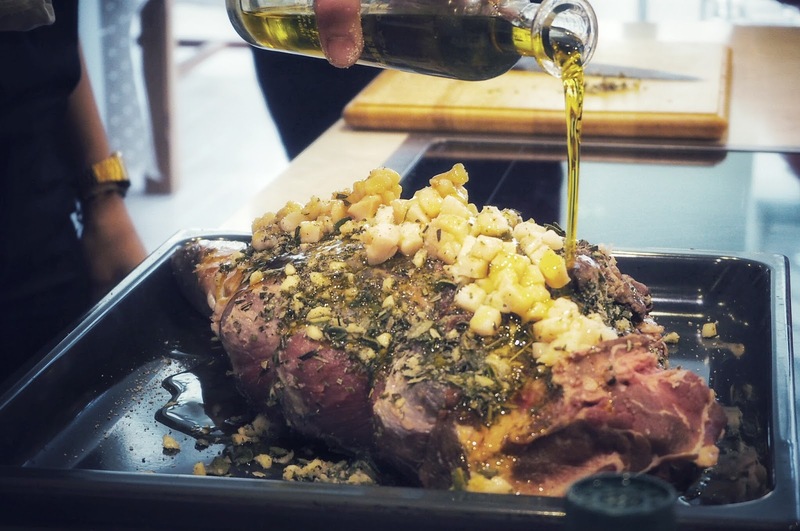 I have not tasted such beautifully seasoned succulent meat and lucky for you I’ve shared the recipes at the bottom of this post! 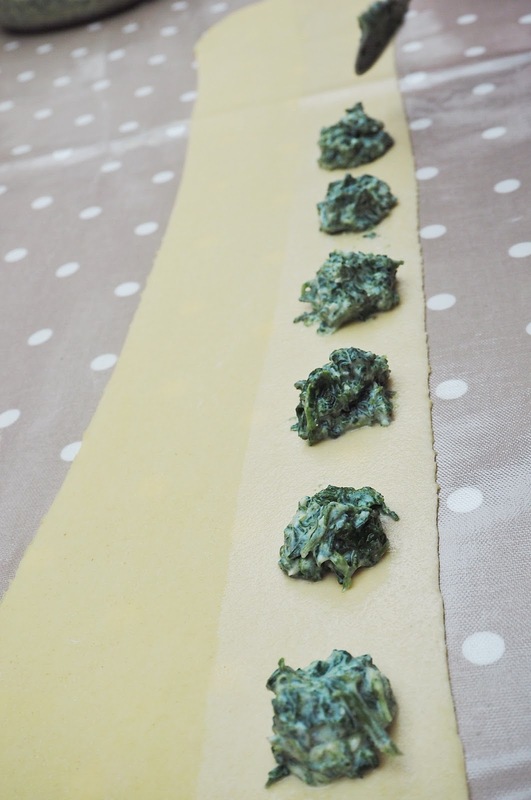 Making the ravioli involved some karate moves and whilst my own creations didn’t quite make the grade, it was great to get stuck in nonetheless! 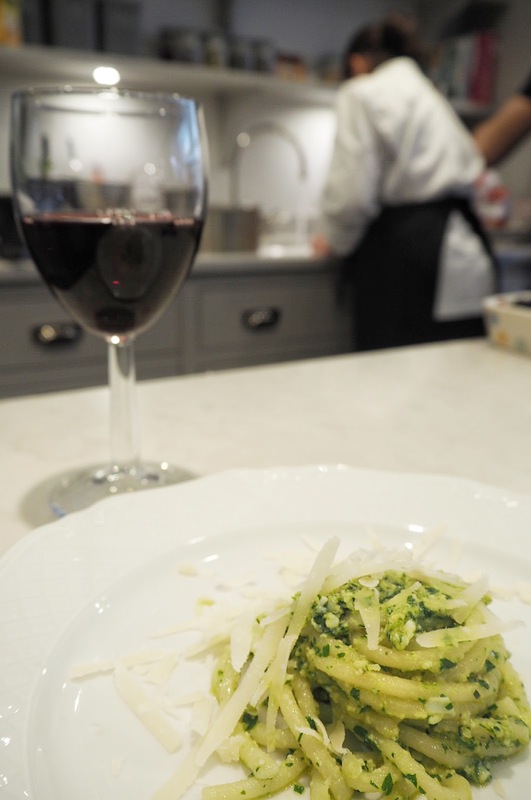 Little did we know another pasta course was on its way in the form of pici spaghetti (fat pasta from Siena.) 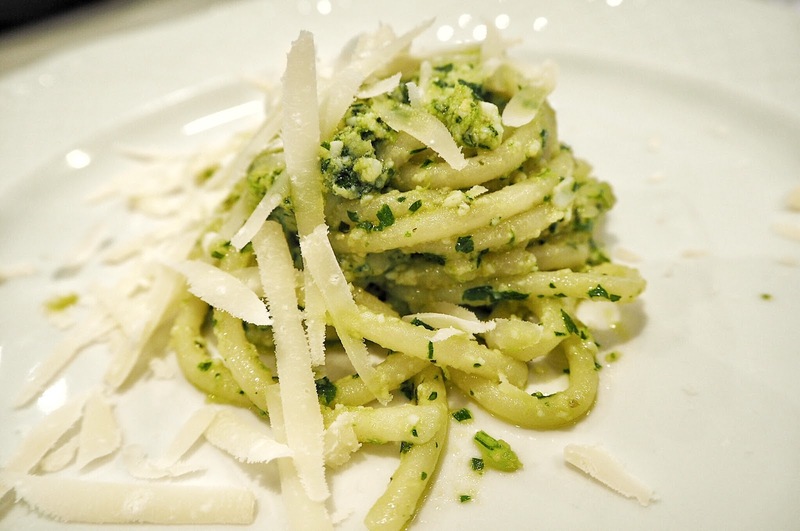 I A few others like myself hadn’t come across this spaghetti before and it tasted great with their homemade pesto sauce. Mother Fabiola was in her element in the kitchen and I was in awe of her skills. 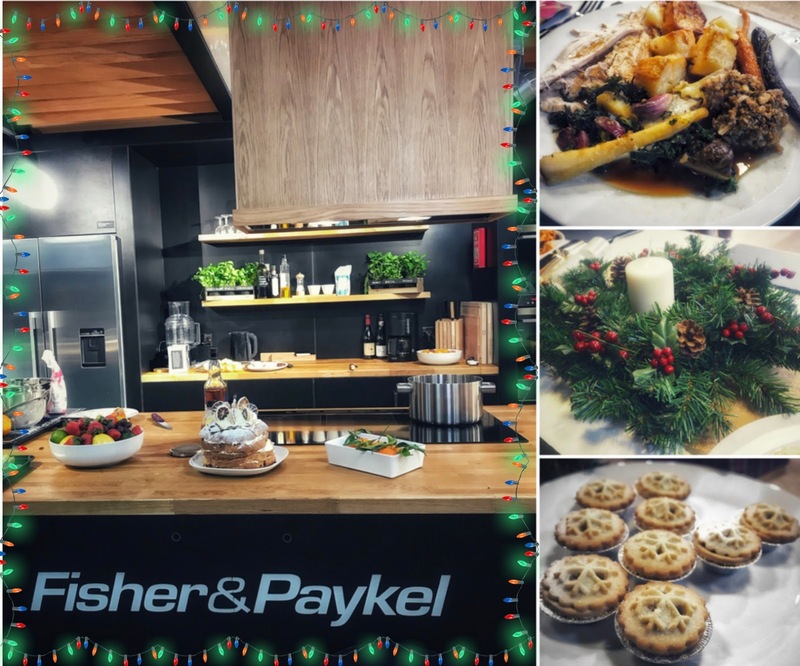 It was amazing to watch the bond between the family and their roles in the kitchen, as well as the enjoyment they all get from creating the perfect meal. 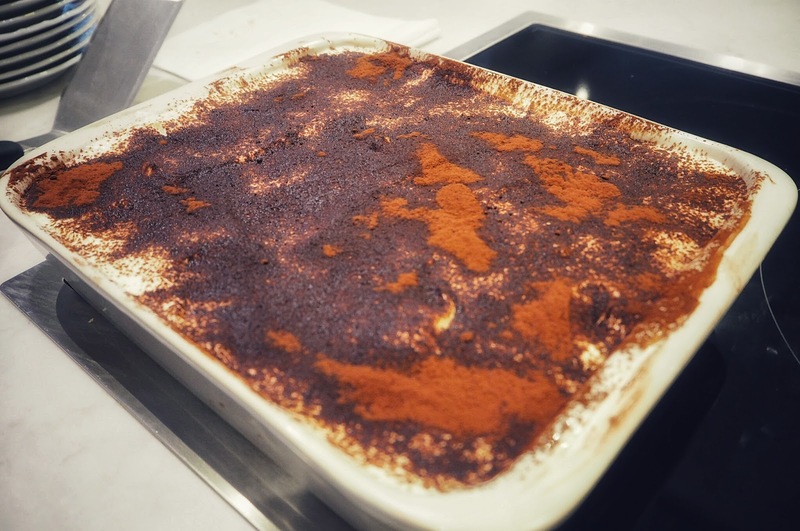 Vera also got a chance to debut her tiramisu for her new in-laws, which must be nerve-wracking in itself! I must admit, the tiramisu was the best I’d ever tasted, as I normally find the alcohol content a tad overpowering in the U.K. Go Vera! 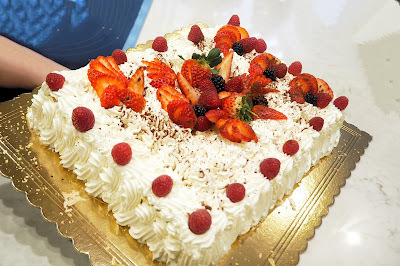 If the delightful tiramisu wasn’t enough, we were also presented with a traditional Italian cake, which the family prepare for the guests who get married at their villa. I’d expected the cake to be quite heavy, though, it was unexpectedly light, served with cream and berries. 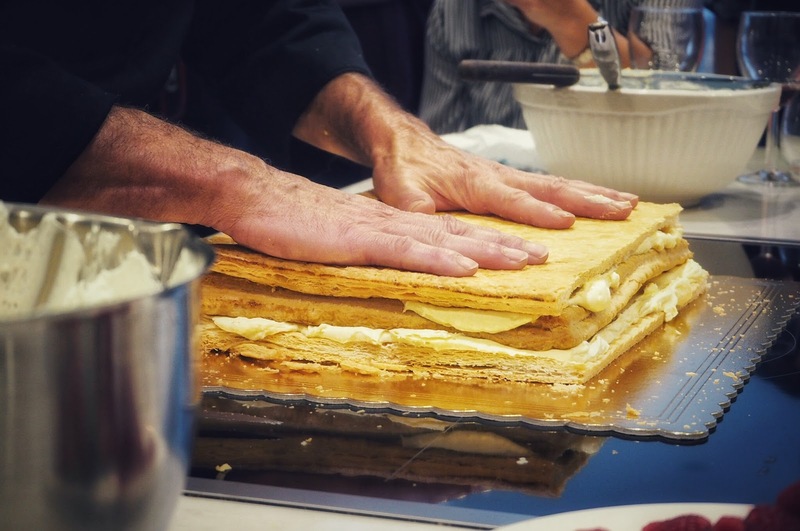 By the end of the enjoyable and extremely delicious masterclass, I can honestly say I felt like a part of the family (a non-cooking member I must add!) 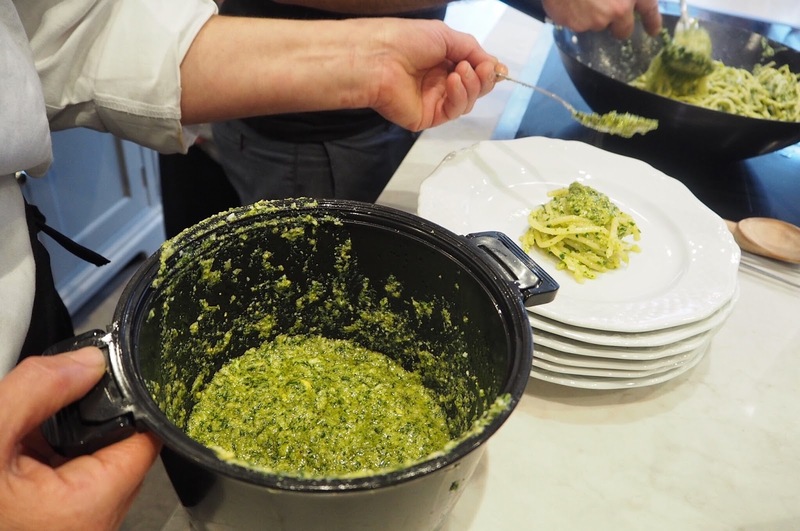 I was even brought over extra helpings and took part in the Italian tradition of Scarpetta (translated in English to medium sized shoes), which is the art of mopping up the sauce of the dish with bread! 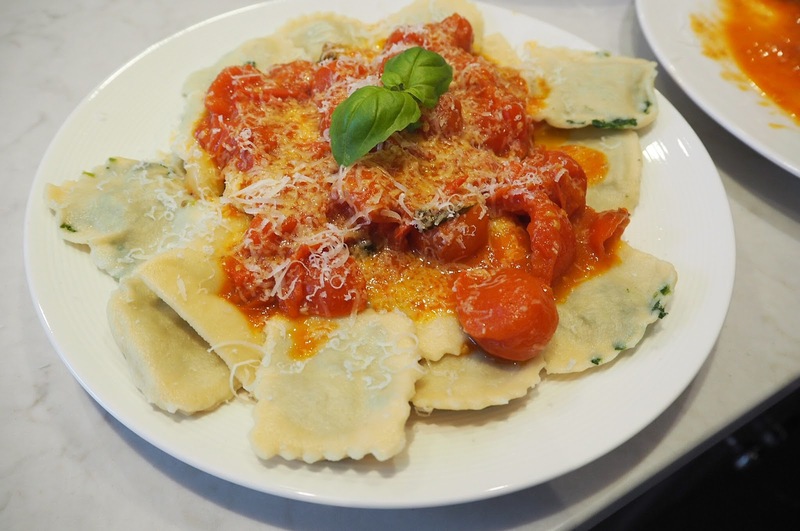 After failing miserably at creating the ravioli, I can tell you I had the Scarpetta down to an art form! The wine was very nice too! 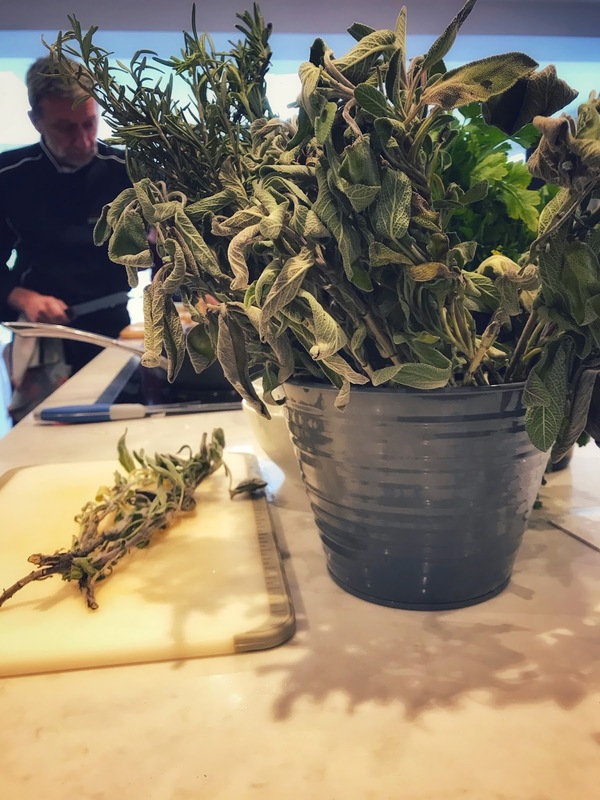 After picking up a few tips from the Giovannini’s, Jo at Bookings For You was able to demonstrate how restaurants master the look of decorating napkins. Punch and twist! 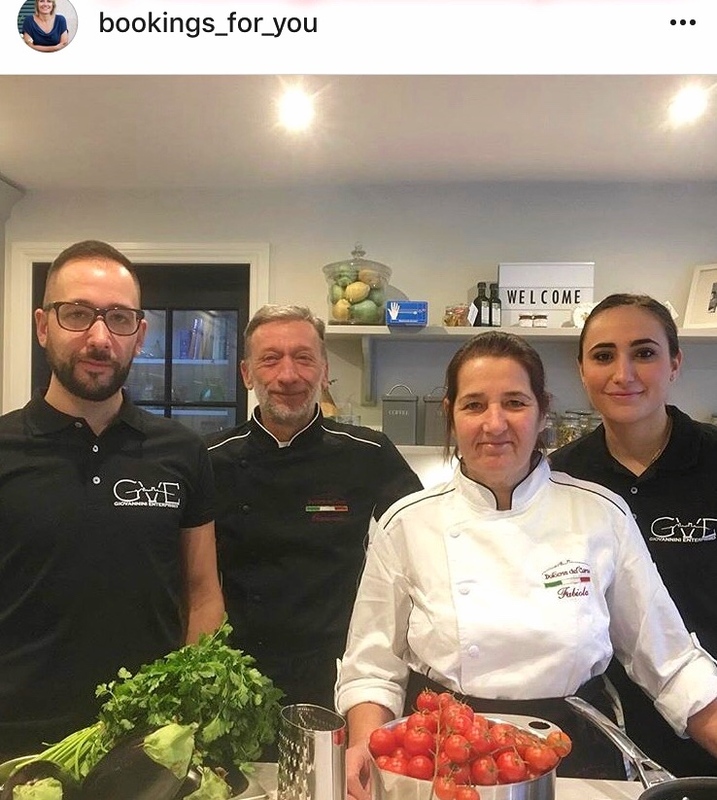 It was heartwarming to see the Giovannini family’s bond over food and the love they all have for their multi-award winning pastry and catering business. 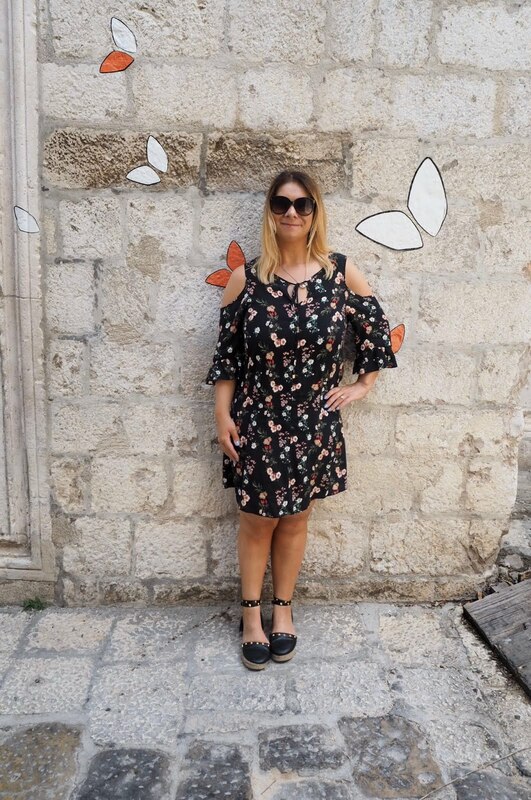 It was a true honour to be invited by Jo at Bookings For You to meet her and the Giovannini family. After experiencing their hospitality first hand, I can only imagine what a delight it is for guests who have the pleasure of staying at their Country Relais & Spa Le Capanne villa in beautiful Tuscany! Hold on to your hats folks, I may have found my wedding venue! 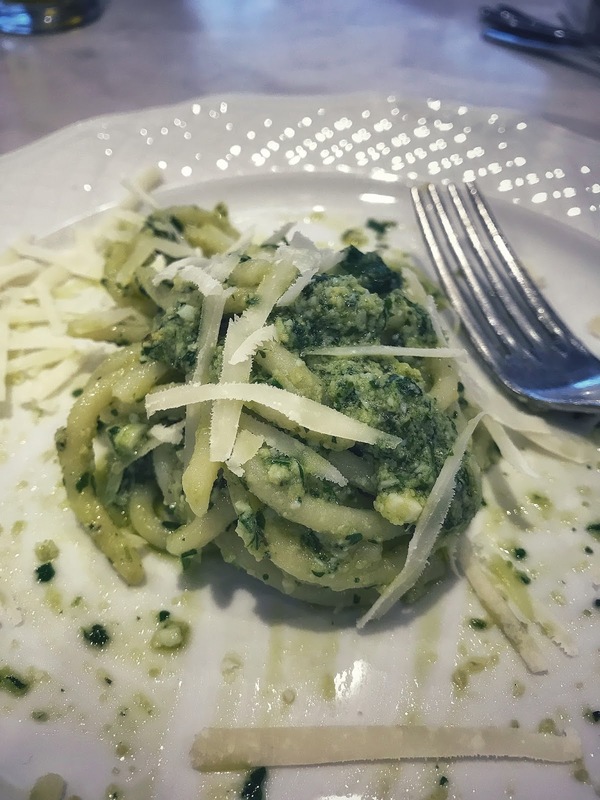 If you’re inspired by this post and want to try your hand at some of these authentic Italian dishes to wow your loved ones this Valentine’s ‘click here’ to see the ingredients for all the recipes as well as the method for the main courses! Wish me luck as I hit the kitchen this Valentine’s evening to create my own Italian meal using the ingredients kindly provided from the event! 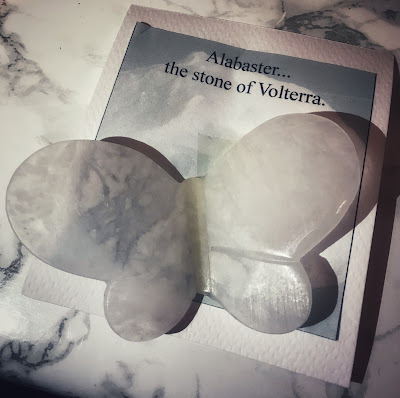 Also, check out this beautiful butterfly, a gift all the way from Volterra and one that fits in very well with my blog! Thanks again to the Giovannini family & Bookings For You! Previous Post Valentine’s Day – Is it D-Day for V-Day?